Our Advisory board consist of eminent Academicians, Scholars and Corporate Stalwarts, with hundreds of years of combined experience in their respective fields, whose knowledge of the subject become very handy in devising the structure and course correction. PhD in Management and Masters Programme in International Business (MPIB) from Indian Institute of Foreign Trade, New Delhi. 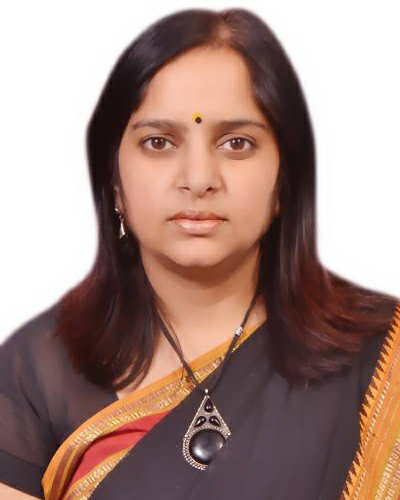 She is a Computer Science Graduate and has done her Masters in International Business from Indian Institute of Foreign Trade, New Delhi and Ph.D from Jiwaji University, Gwalior. Her area of specialization is International Business. She is having over 22 years of experience in teaching, research, consulting and in various export promotion activities. During her last assignment with the Plastics Export Promotion Council (Plexconcil) as Deputy Director she worked on number of projects for promoting exports of plastic products from India. She conducted training programs on “Exporting Plastic Products from India” and “MDA and MAI initiatives of Government of India” during her tenure at Plexconcil. Before joining Plexconcil, she was working with NCTI (National Centre for Trade Information), an UN designated Trade Point in India, where she was associated with various projects of Department of Commerce, Export Promotion Councils, Coffee Board, APEDA and Coir Board etc. She worked on several reports for Department of Commerce. Two of the reports worth mentioning are the one in which India’s trade with USA was analyzed before and after formation of NAFTA. In another project she worked on a project on basis of which GSP benefit was restored for many items exported from India to USA. She obtained specialized training on international trade related sources of information and databases by UNCTAD. She has spoken on various national and international forums on various topics related to international business. She has published a book on “Trend in India’s export” and has published number of research articles/ case studies in her area of specialization. Teaching is her passion and she is shaping the young minds to take up the challenges in this dynamic and competitive environment. PhD, MBA with specialization in Marketing and Masters in International Trade and a Diploma in Pharma Regulatory Affairs. 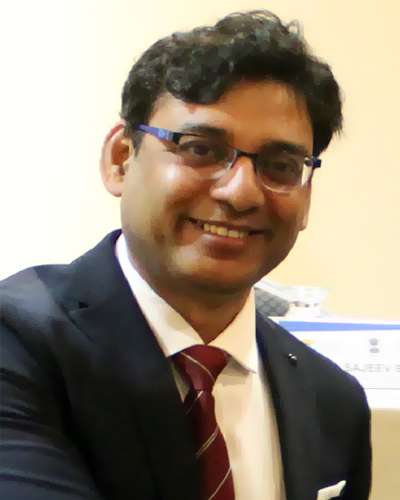 Abhay is working as Senior Director in Pharmaceuticals Export Promotion Council of India, an organization set up by Ministry of Commerce & Industry, Govt of India. Leading numerous initiatives on pharma and related sector. Over 20 years of experience in promotion of international trade, market research and international trade information services. Had been associated with various projects of Export Promotion Councils, UNCTAD, Coffee Board, APEDA and Coir Board while working with National Centre for Trade Information-a joint venture of ITPO and NIC under Ministry of Commerce, Government of India. Headed Western U.P. Zone of CII based at Noida during the period 2005-2008, besides taking Charge as State Head-UP in the year 2007. Also Headed the Manufacturing Competitiveness Sub-committee of CII-Northern Region. Initiated a number of activities related to industry-institute partnership, innovation and CSR. Obtained specialized training on international trade related sources of information and databases by UNCTAD and also received training in Market Information System by CBI, Netherlands. Ex. Principal City Montessori School, Lucknow. Mrs. Nalini Sharad is a firm believer in gaining the trust of the students and then rekindling their intrinsic motivation. Another aspect that she has practiced is mathematical literacy wherein life-related application of mathematics enables students to develop the ability and confidence to think numerically and spatially to interpret and critically analyze everyday situations and to solve problems. 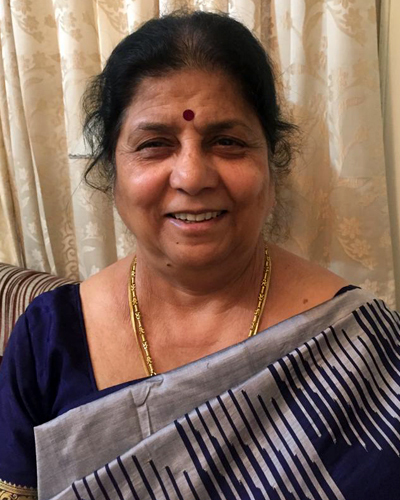 She has inspired generations of kinds for the last 35 years with this unique teaching ability where in Mathematics is simplified with application of mathematical concepts to everyday situations along with instilling confidence in every child to think numerically and spatially. Shreesh Sarvagya is one of India's finest trainers in Communication and English Language Skill Development. Shreesh Sarvagya is one of India's finest trainers in Communication and English Language Skill Development. Armed with a master's in Communication (with special focus on Communication Psychology) from the Johns Hopkins University (US) and a master's in English Literature from Hindu College, University of Delhi, Shreesh delivers high level communication insights in the simplest possible manner. He has been a visiting faculty for communication at IIM-Rohtak and IIM-Lucknow; and his trainees have consistently given him perfect or near-perfect ratings. Shreesh has three decades of experience as a Writer, Journalist, Editor, Communicator, Publisher, Brand Strategist and International Marketer. Besides corporate training, Shreesh edits and publishes The Business Matchmaker, an Indo-US business promotion magazine. 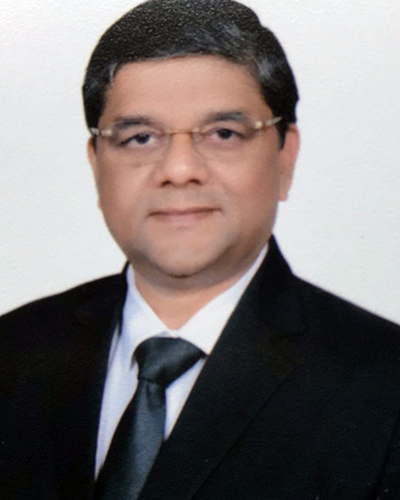 In his previous stints, he was Group Head of Internal Communications with Reliance Industries Limited (also part of Chairman's Office), Head of Communications with Reliance Life Sciences, Head of Communications with Patni Computers (Now iGate) and Head of Communications with Datamatics Group, among others. He has also served with the National Dairy Development Board, an autonomous body of the Central Government, in the Senior Class-1 Scale. Shreesh also serves pro bono as CEO of an NGO. Shreesh is actively associated with the Michigan Economic Development Corporation and various other California-based and Washington DC-based business associations for bilateral trade projects. He has also taught communication to scores of mid-management and senior- management employees of Michigan-based American businesses.